I'm selling my complete Ikelite/Sony setup. All parts are in used but good condition and never flooded. Universal Zoom Set for Lenses up to 3.0-inch Diameter (5509.28): incl. Focus Clamp (9059.8 ): incl. NiMH Battery Pack (4066.5): incl. Smart Charger for NiMH and NiCad (4066.1): incl. (Variable) Neoprene Floats for DS125/160/161: incl. I prefer the complete ready-to-shoot setup being sold as a whole but will also sell individual items (with those buyers preferred who buy more parts). I recommend getting one Explorer Case (3818) when buying the housing as the foam is customized for the Housing + macro port + both flash units (without batteries) and offers protection. I have a second 3818 Explorer Case in which the 8" dome, arms & clamps, and battery packs fit. 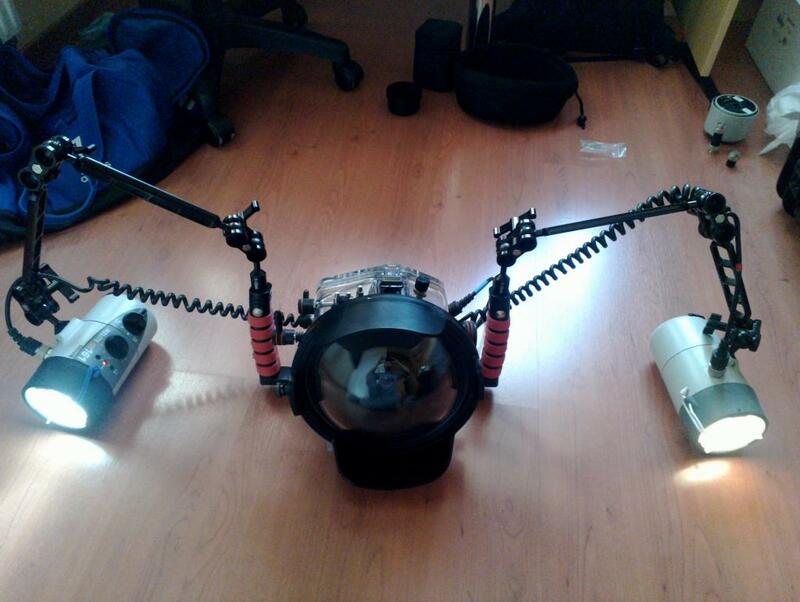 So best is getting both strobes, arms, housing and 8" dome with the two cases. Edited by Mark Twain, 25 July 2016 - 04:16 AM. Hi there. Is your equipment still for sale.